Play Plenty on Twenty™ II hot online for free now! 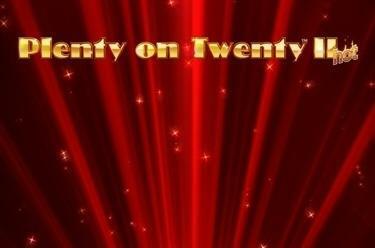 Plenty on Twenty™ II hot is played on 5 reels with 20 win lines. The 7 is the most valuable symbol and at the same time the Wild symbol in this game. Five matching symbols on as many win lines as possible grant you large winnings. The order of the symbols has to be from left to right along the win lines. 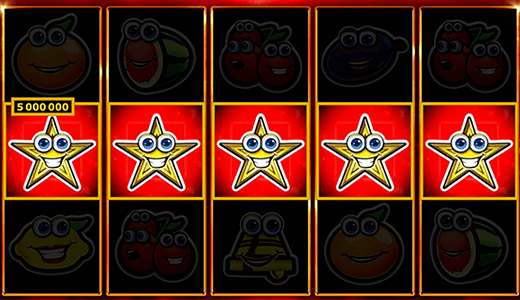 The Star (Scatter) is exempt from this rule: it pays in any position. The Star acts as Scatter symbol in this game and it counts in any position on the playing field. The 7 symbol is the most valuable symbol as well as the Wild symbol in Plenty on Twenty™ II hot. It substitutes for any other symbol except for the Star (Scatter). Fiery and fruity: It's a win-win with Plenty on Twenty™ II hot because you as well as the fruits might rake it in big time! Spin the reels and don't mind the cheeky fruits doing their monkey business. Because if you get a glimpse of 3 Stars or even three 7s you take home a pile of Twists!